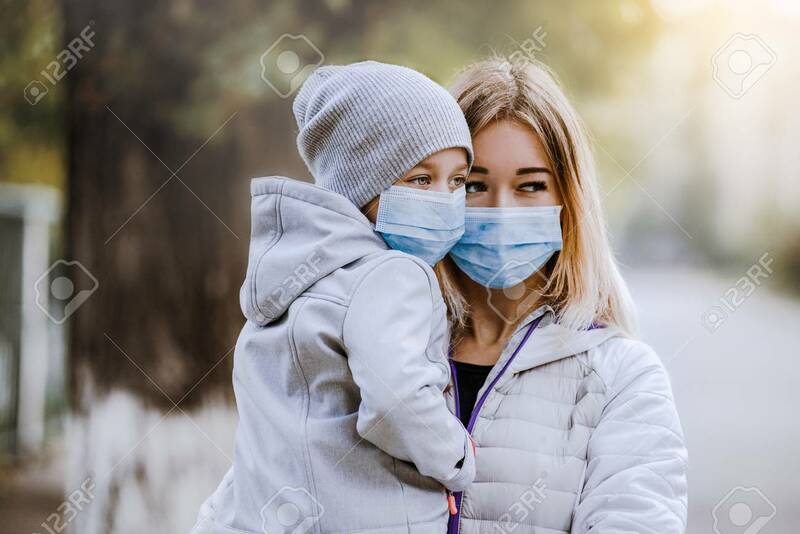 A Girl With A Child Stands On The Road In A Protective Medical Mask. Dense Smog On The Streets. Epidemic Of The Flu Banco De Imagens Royalty Free, Ilustrações, Imagens E Banco De Imagens.. Image 111082536.